Live in or near Ashford, London TW15? We carry out Velux (roof light) loft conversions and dormer loft conversions and are happy to offer advice and guidance at no obligation. When you choose Ash Island Lofts our goal is to offer quality loft conversions in Ashford, from concept through to completion, for the wide spectrum of client needs and tastes. 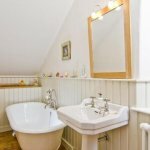 Our experienced loft conversion tradesmen are experts in their respective fields, so you can be assured your Ashford loft conversion will be carried out to the highest standards. Unlike most other loft conversion companies, here at Ash Island Lofts, we guarantee our work for 10 years. When you chose Ash Island Lofts we offer loft conversions for Ashford from design through to completion - this includes planning, building regulations, structure, stairs, Velux widows, dormer windows, insulation, plastering, heating, plumbing, bathroom fitting, electrical work (Part P) and woodwork, etc. However, if you would prefer to do (or manage) some of the '2nd fix' elements yourself then we can tailor a package to suit your needs. Contact Us for your free advice and consultation... but only if you are serious about making more of your home in Ashford, please!